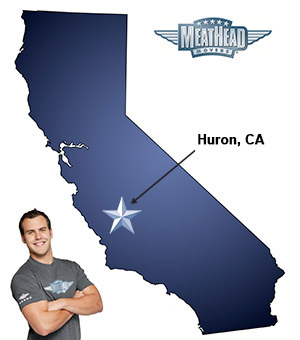 If your future includes a move, check out the Huron movers from Meathead Movers! Our professionally-trained student-athlete movers, moving concierge, and Princess Packers are prepared to get you safely moved into your new home. Those who are moving to Huron will enjoy living in a friendly community that celebrates agricultural traditions and Hispanic cultures. Choosing the right professional Huron movers is a great way to ensure that the transition to your new home goes smoothly. Driven primarily by agriculture, Huron is a rural community located in California’s San Joaquin Valley. Though the city itself is small, it boasts easy access to Fresno and other California cities via nearby Interstate 5 and other major area freeways. A successful agricultural community, the population of Huron reaches nearly 15,000 people during the harvest season. The city is especially lively during the harvest time. Farmers markets in nearby communities are a major attraction for residents and allow them to stock their fridges with fresh local produce. The city’s proximity to major railroad lines means that farmers and small business owners will have great business opportunities. Huron’s beautiful climate can be enjoyed nearly year-round in the city’s parks system. Families can enjoy playing in the parks or participating in events at the local community center. Of course, it is also prized for its central location. The city lies just a few hours from Yosemite National Park and about three hours from both San Francisco and Los Angeles. Those who are relocating to the area often find that it pays to work with experienced Huron movers. At Meathead Movers, we are proud to take the stress out of your move by assisting you with every phase of the process. We specialize in local, long-distance, and commercial moves to, from, and within California. Our Princess Packers are here to help you safely pack away even your most fragile possessions, while our moving concierge can help connect you with utility and service providers in your new area. We are proud to ensure that the same moving team is with you from beginning to end. Our Huron movers are all clean-cut, dependable student athletes who attend nearby colleges and universities. We believe in making the most of your time, which is why we always jog when we’re not carrying your belongings. We are so confident in our superior services that we offer all our customers a 100% satisfaction guarantee. If you’re moving to Huron, you will be sure to enjoy the temperate semi-arid climate and natural beauty of the local area. When you choose us as your Huron movers, you can cut down on stress and start enjoying everything your new community has to offer right away. Contact us today for a free no-obligation moving quote and learn how we can help you on your next move!